A meditation on war, art, torture, and memory––focusing on a WWII conscientious objector and a former Abu Ghraib prison guard––told through a combination of memoir, history, reporting, visual culture, literature, and theology. 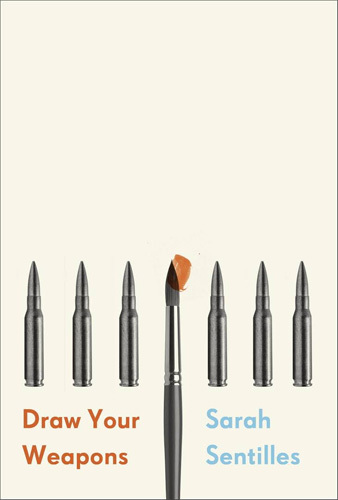 Draw Your Weapons is a broad work of creative nonfiction in the tradition of Maggie Nelson or Annie Dillard’s For the Time Being that melts memoir, cultural criticism, and research-based reportage together ... Sentilles frequently looks back at the work of past writers who themselves are looking back at the work of past writers, and one of her great gifts is summarizing and contextualizing those books and essays concisely ... Draw Your Weapons’s successes are so massive and have so much gravity that some of its other elements—mostly the ones relating to the visual or conceptual art of others—often feel subjugated to the people and ideas that are being discussed around them. This is both unfortunate and inevitable ... It is an impossibly heavy book to read, as even the beautiful in it is tainted by its root cause, but it is heavy because it is challenging and brilliant and fierce. Readers will carry that weight and be better for it. A religious scholar, Sentilles deftly situates Miles’s souvenirs in the tradition of the relic, a tradition which is dependent on disintegration of the whole—be it the memorial whole or the physical ... A religious scholar, Sentilles deftly situates Miles’s souvenirs in the tradition of the relic, a tradition which is dependent on disintegration of the whole—be it the memorial whole or the physical ... 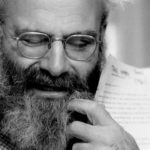 The author’s enterprise is to reconstitute a body of human understanding from what is left behind, preserved, or found—be it a grainy record of torture, a bit of text, or a work of art ... The patchwork form of this book, in the vein of Maggie Nelson’s The Argonauts, invigorates in its dissonance. The amount of white space on the page amplifies the effects of each passage, be they concussive or soothing. Regrettably, the author is alternately halting and precipitate as she sorts out the material of life that so disturbs her. Her exposition is ragged. It may be that as a good visual arts teacher, she is permitting readers to fill in outcomes of her unfinished prose with their own experiences. This is a valuable approach but it’s not enough for 'distance learning,' i.e., reading a book. We’re not in class with her ... One value of Sentilles’ book is that it offers examples – from World War I and II to Rwanda, Iraq and Afghanistan more recently – which eloquently make the case for people turning away from violence ... Ultimately turning the tide against violence requires people pushing their governments to take concerted action against violence. As an entity, the United Nations hasn’t been very good at this. In addition, many world powers seem to be turning their backs as protectors to the dispossessed of the world. All the more reason for Draw Your Weapons to be read, thought about and acted upon as best one can. What did you think of Draw Your Weapons?